Next post: …but I still have all my teeth! It was Easter Saturday 6 years ago. We were driving through the parking lot of our local super WalMart. The girls were happily discussing the upcoming Easter play and subsequent egg hunt. Suddenly, and almost simultaneously, we all spotted an older model pickup truck with a hand printed sign parked in one of the “north forty” spots. These two simple words were printed on the sign “Free Puppies”. We had recently lost our beloved shepherd of 12 years, and I, for one, was not ready to replace her. I should have known better than to stop… but I stopped. I should have been more adamant when I told them no… But I wasn’t. I should not have looked into those beautiful green eyes…. But I did- and we took him home and he became my guy, my dude, my boy, my son! Now, six years later, after being the most magnificent, loving, loyal and protective “guy” a family could ever have… I had to let him go. I had to make the most contradictory decision of my life in regards to him. See my guy became ill, the doctor said that it was likely that he had some type of brain issue (perhaps a tumor) that caused him to become aggressive and confused. Call me selfish but I couldn’t bear the thought of watching him lose his light, his bounce, his zest for life! On that day I cried, I sobbed openly, I slept and I wept. That day was one of the worst days of my life, and silly me, I thought today- 4 days later- would be easier. Oh boy, was I wrong. This is Saturday. The day “Lukey” and I would hang outside together. I am so lost without him. My prayer is that he’s not lost without me! 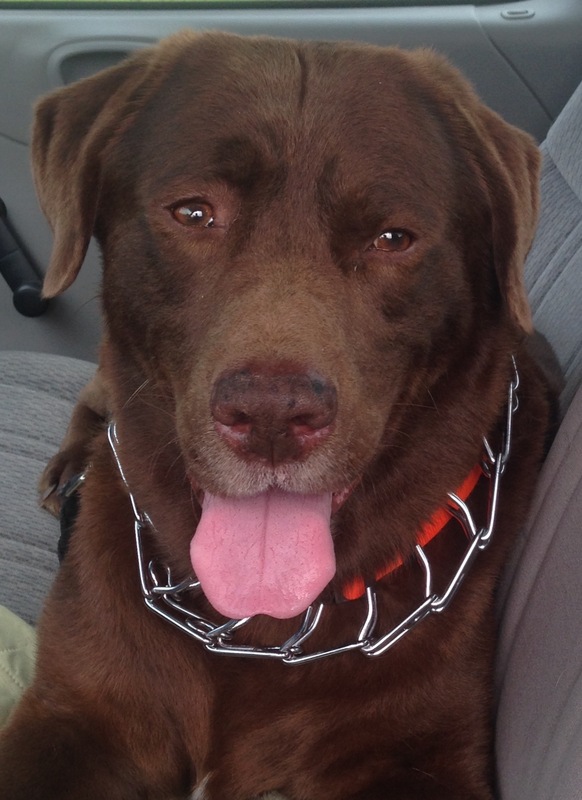 I AM SO SORRY FOR YOUR LOSE HE IS A HANDSOME DOG AND LABS ARE AWESOME FRIENDS. Thanks Donna. He was my first Lab and I agree with you wholeheartedly. What a handsome and intelligent face he has! I’m so sorry his life was cut short by this cruel illness. You did the kindest thing for him. Omg, I am so sorry for your lose. That is so horrible. Writing does helps a lot with pain and how I deal with it. So sorry. and that Lucca’s spirit will still be with you. Prayers for solace. My daughter suggested that I write a letter to Lucca and place it on the shelf next to his urn. I may try to do just that in a few days. Thank you for your kind words. I’m sorry for your loss. He was a beautiful dog. We had to do the same with my last dog. It’s hard losing a pet, a member of your family. My daughter still sends him letters (she writes him a note on a balloon and sends it to him in Heaven. I never thought of that… thank you so very much for sharing that! You’re welcome. My daughter was around two when he passed, the first time it rained, she said, “oh no, Sigmund is getting wet” I bet Lucca is up there with Sigmund right now, pain free and carefree, watching over you as he enjoys his paradise, patiently waiting til you meet again. Thank you! Your words have truly made my evening!